Six Pack Abs in 2 minutes…… A YEAR! We’ve all seen those ridiculous infomercials selling electronic devices that “stimulate” your ab muscles without you doing any crunches. But do those devices actually work? Well, if you’re a regular reader of this website, you probably already know the answer to that. In order for muscle to grow, it has to be subject to an intense stimulus which triggers muscle growth. The stimulus triggered by these electronic devices is so minimal that it will not even be close to stimulating anything other than a stomach tickle. It’s as ridiculous as claiming that writing with a special electronic pen that stimulates the finger muscles will develop huge forearms. Come on, who’s buying this stuff? What is the reason that products like this even get enough traction to generate infomercials? It’s the desire for that ultimate statement of fitness and physique…..the six pack abs! And it’s based on the misunderstanding of actually how to develop that six pack. Those purveyors of muscle misinformation make you think that developing a six pack will require hundreds and hundreds of crunches. After all those repetitions, those magic bumps will start to appear. However, reality is far from this. The fact is that the rectus abdominis muscle is a paired muscle running on each side of the anterior wall of the human abdomen. The two parallel muscles are separated with connective tissue called the linea alba. There are fibrous brands which cross the abdomen. When the muscle grows, it grows between these connective tissues and causes that six-pack look. The only way to get a six-pack is to stimulate the rectus abdominis muscle to grow. In addition to muscle growth, we will need to get rid of the body fat that covers the muscle to reveal the six-pack. Muscle growth with belly fat remaining on top will only lead to a bigger looking stomach……not very impressive. In this article we’re going to focus on the trigger that is needed to stimulate muscle growth of the rectus abdominis muscles. As mentioned above, we will need an intense stimulus which recruits the most muscle fibers possible to stimulate growth. What is the best way to do that? Most people think that in order to stimulate the muscle they need to do hundreds and hundreds of crunches? Why? Well, because when they do crunches, they “feel it” in the abs so hence the abs must be growing. The problem is, that while for a new trainee those crunches may be helping, as the trainee progresses and gets stronger, those crunches become less and less of a stimulus and the muscle hence stops growing. The trainee continues on with the crunches and gets no results and hence thinks that the only way to get some results is to do more and more until they get some results. And here starts the vicious cycle of doing hundreds and hundreds of crunches each training session. With static contraction training we stimulate the muscle with 1 intense rep. For more information on how this type of workout stimulates the ab muscles to grow check out Pete Sisco’s e- book Super Rep Abs. I myself have been using this workout method for over 3 years. I’ve ditched leg lifts, crunches, Swiss balls and all the other ab torture devices for doing 1 intense rep. With two ab workouts scheduled a month, I do less than 25 crunches IN A YEAR and have developed strong, impressive abs. With each repetition lasting 5 seconds, that means I’ve worked my abs for 2 minutes for the whole year and have been able to build six pack abs. Now how is that for efficiency? Thank you for the information about the ab workout. I was wondering about what kind of static contraction workout(s) can be done for the back muscles, especially the lower back reagion? Sorry, but I don’t buy it. Why? Well, while I have no argument with you about the training method and muscle development, 6 pack will only show if you have reduced body fat to about 5-8 %. Otherwise you may have unbelievably powerful lab muscles but these will not be visible. Terry, what program are you doing now for low back? I have done the first workout Zero on the A program, and I must say it have really convinced me. I feel much stronger already and I probably am much stronger already, and was happy to experience muscles being touched that I have not had the pleasure of feeling used.. the entire workout lasted longer than expected yet it was naturally logical as I had to figure out how to do every exercise. Take care Pete and thank you! I LOVE your static contraction program because I HATE working out, but I still want to be strong. To that end, I have purchased I think every one of the workout systems, overall, abs, arms etc. and I have purchased the Hooks, grip machine and chest strap. 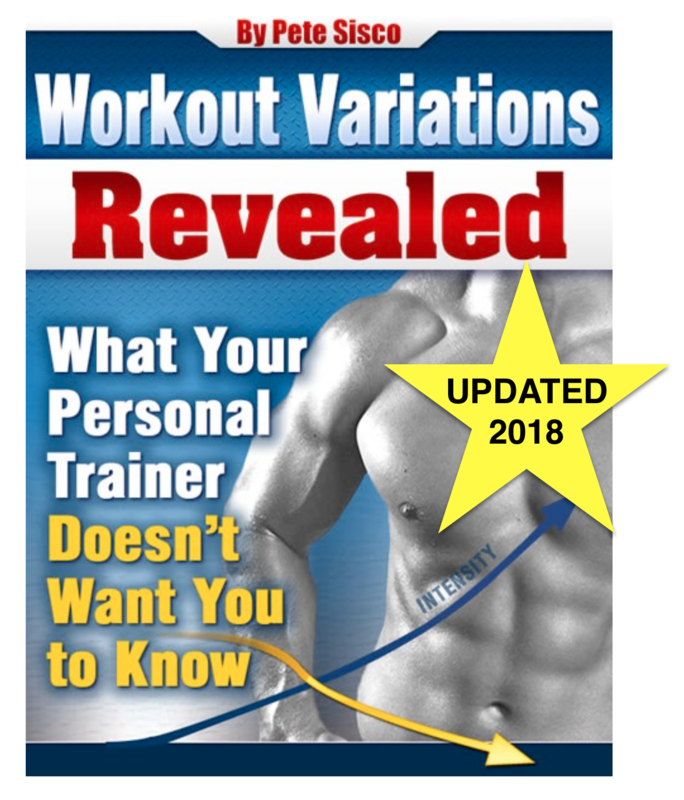 I saw where you created a combined workout that incorporated targeting abs and arms (fantastic) but, do you have one that does that and utilizes the specialized tools you’ve offered and I now own? I’d REALLY love to have a simple workout program that walked me through that process . . . If not that, then I need the combined workout that doesn’t use the equipment and I guess I can wing it. Thanks Pete for creating such an easy, POWERFUL way to get and stay strong. Everything is easier when your strong. Regarding the loss of body fat, I have had success monitoring my caloric intake and consequently losing weight (23 pounds so far!) using the free “My Fitness Pal” site at http://www.myfitnesspal.com for anyone interested. Hi Don. I don’t really understand your question. Shoot me an e-mail and I’ll try to help you. Abraham, I must agree that the lower percent body fat one has the more prominent, flashy and defined the muscle will be, however I’m 53 years young and currently at 21% BF and must say that when flexed my six pack is quite visible and defined, granted I am working on getting down to around 10% so that they will be even more pronounced and cut (the girls love that). The point is that if muscles are well developed they will be visible with body fat percentages much higher than 5-8 percent. I have been on Pete’s program for about 18 months and as for the low cable crunches… well I maxed that out a long time ago, switched over to a crunch machine in the gym (not exactly the same) and maxed it out (190#) then added 90 more to the side (280#) so I am currently out of increase potential and looking for other ideas. Give the system the same courtesy you would one of those muscle mag hypes, an honest go of it for 13 weeks, you will see the benefit. It is all about appearances, had the article been about building muscles, then I would say nothing. However, when the title is “six pack abs….” you know as well as I do that the article appears to say that if you build muscles you will look like the one in the picture. Well, I still don’t buy it, because of body fat. Body fat for example is not just a matter of hard training it is a problem that comes with age even for top athletes, because of various reasons. i second that, i used to go to the gym once in a while and use the ab machines, or should i say abuse the ab machines…i am real tall so i only like one particular machine, i used all the weight, would do 10 reps then hold until failure, which was like 2 more minutes, then i would have somebody press down on the fulcrum lever thing and add weight until i could not hold it. it was ridiculous, then i started static contraction crunches, i fatigue within 10 seconds basically. i cant get higher numbers after the first few exertions…this exercise is very telling, so i have about 3 attempts to increase my numbers on it in a given workout then i am smoked and cannot increase, other lifts i can try usually 5 times…we are talking over 450lb for a crunch. i was very ripped under my flab. Abraham, I stated in the post that 6 pack abs require two things: 1) building the ab muscles and 2) losing the fat on top. I also clearly stated that the post was about building the ab muscles only and not about losing fat. Losing fat takes discipline and a good diet. But that should be something you incorporate into your lifestyle. Also it takes cardio effort but if you notice with EVERY informercial out there that talks about getting lean there is a VERY small disclaimer at the bottom that states that proper diet and exercise is needed. Well, with this post, proper diet and cardio is needed. But for strong six pack ab muscles all you need is 2 minutes…..a year. Aden, I will. I’ll be putting out a workout clip soon to help demonstrate some SCT techniques. Video evidence doesn’t lie. Michael, you’re right about the body fat level and the visibilty of the abs. For really nice looking abs, you need to get to the single digit body fat levels. That’s when the definition shows nicely and you have that tapered look at the waist which makes it even more impressive. i did not experience a come on or half-assed pitch at all. however this is a .com not a .edu, .gov or .org site. i think it is safe to say that those on this blog most have purchased from here and are satisfied. on the other hand i can understand not wanting to be gimmicked out of hard earned dollars, you will find value here. a deadlift is the main position for the erectors of the lumbar, i have developed an extension thrust of the pelvis that i think safely loads glutes and erectors in a position that maintains the proper curvature in the lumbar for those erectors to safely exert with numbers rivalling my deadlift numbers. since the lumbars are not bearing load in this exercise i think it is much safer for the discs. certainly habits and problems accumulate and age…bro, please dont ever cop out to age. Charlie, you’re right!! Age should never be a cop out. I’ve seen guys in their 80’s look ABSOLUTELY fantastic. Ever heard of Bob Delmonteque? Look him up. He’s my idol! Its only a sales pitch if you buy something 🙂 The fact is that it was meant to show you what is possible with the techniques we teach here. The real sales pitch is hearing the success of the trainees who use SCT and get the results. Those two minutes and 25 reps do not include warm up time and reps or setting the equipment up. I do consider that to be part of my workout time. Still being said this is still a lot less time than I used to do for abs! Also most of the other exercises do work the abs to some degree. hey pete. i definetly have a six-pack that you can see. ican register a 60 on the explosive fitness machine which to me generates great intensity to where i’m shaking while i’m doing it. i also got ”ripped” by eating ”clean” and burning more calories than i take in and by walking and or low impact aerobics. by the way. 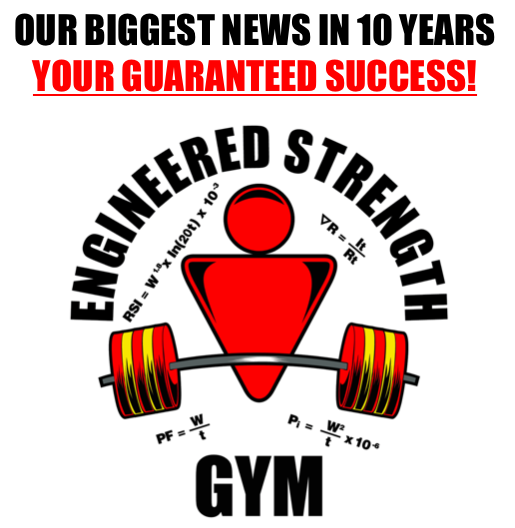 what is the conversion number on the explosive fit machine that say you push a bench number 150 on it somebody told me thatn is equal to a 500 ib bench which is close. i used to hold 450 lbs. static style when i used free weights before i bought the machine. also you said to add a week to my recovery time which is now 5 weeks and my numbers shot up after a stale period stuck at 4 weeks. amazing! thank you. Mark, you should email me your success story. It sure sounds like you are a good example for others. Thank you Charlie and Gregg. I don’t understand why some folks are taking their time to post comments like that on this blog? First of all, the programs that are available here are at a very nominal cost but are high quality and in a very easy to read/understand format. I am a trainer and there is no difference in someone paying me for my expertise. Geez Louise. Just to bring this discussion back to ab strength. I think for SCT it is very important to make sure you work your abs to maintain balance in your body. SCT will develop incredibly strong backs, I would think that undeveloped abs would not be a good thing when counterbalanced by a very strong back. I couldn’t believe how weak my stomach muscles were compared to my other muscle groups when I started. I must say too, that getting comfortable with a real SCT workout for your stomach can be a challenge as well, so don’t give up. You will find one. Diet or don’t, the abs are there. Just make sure they are strong too. Whether they show or not is a different function than strength, and we all weigh that importance differently. It is just important in my mind that the stomach muscles are strong. Stomach muscles are your core, and creates a balance your body craves. Its a very old article Pete wrote. Obviously there would be some outdated information there, but its a great start to have a taste of what static holds can do for the abs. Try the low pulley weighted crunch as described in the article, but instead of busting a couple of reps as described, try a static hold instead. Lift the weight stack 1-2 inches using as heavy weight u can and hold once for 5 seconds (but dont hold your breath!). Try this ab workout once a week (if u really want to see direct results of this ab workout, skip all other other ab exercises or routines u are doing), for at least a month. Each ab workout u need to try working with slightly heavier weight. Well said Brian. I wasn’t trying to make some outlandish claim with my post. I just wanted to get people’s attention with what really is possible if the things that we say in the programs is actually followed. Rob, the ab exercise is CRUCIAL to core strength. Instead of wasting time trying to balance on some ball or do some other weak ab exercises, spend the time doing an SCT ab crunch and watch how strong your abs get. I’ve noticed that I sit up much straighter now than I have ever before due to the increase in strength in my lower back and abs from the SCT workouts. or it may be able to be calibrated by a pro. there is a setup mode on my meter, i think you hold the button on the right as it powers up and it enters or flashes somehow…experiment . Happy to hear you’re making good gains and that you’ve discovered the ‘miraculous power’ of taking extra time off. Haha. It sounds like you might have a machine from after Dec., 2007 when I stopped recommending that company. Their old meters used to measure lbs/kilos instead of providing a different number that needs conversion. Maybe you have one of the meters that broke a lot. Be careful with it. Michael, with 21% bf there is no way in the world that your ab muscles are visible. For a visible 6 pack you need to have no more than 10-11% bf at most. Greg, don’t get me wrong, I am not knocking your methods, what bothered me is that in a way you are hurting your cause. Because people read the title and expect something, most do not read the VERY small disclaimer and are disappointed and thus… you know what I mean. Abraham, I didn’t do anything different than pretty much all companies do with their informercials or their advertisements. Remember 8 minute abs? What was that about? Just different ab exercises that you can do in 8 minutes. Of course you still have to lose the fat on top to see those abs. But the difference is that I mention that the 6 pack ab requires both muscle building and fat loss. For those other fitness programs you have to buy the materials only to find out that muscle building is not the whole story. Are goal on this blog has always been to keep it real. The readers who read this know that. That’s why we’ll post all the comments we get, good, bad or ugly. The title was meant to get you to read the post and realize that ab training does not have to be this crazy, over the top, daily routine. You can build with a little as 2 minutes a year. I train only once every couple weeks with the abs and they always stay strong. And I know that because I get punched and kicked in the midsection all the time in martial arts class and they are rock solid. I was thinking about changing my workout from regular SCT to the Hybrid Routing using Beta Workouts, doing 80%-90% of my max for 3 minutes. In work outs A, B and C, you added additional exercises. Can these exercises be performed in a SCT style or are you suggesting traditional full range of motion?? I’m amending my previous answer because I didn’t read your question correctly. I never advocate full range training. Whatever exercises you add do them in the SCT manner. Thanks Pete. If I decide to go this route, I am definitely leaning towards the SCT. I don’t want to add too much volume to my work out and burn out. I noticed you no longer have a link to the ab strap you had previously. Did you stop endorsing that product? I am looking for something to help me with my ab exercise since currently I use the Lat Pulldown machine with the rope attachment. Doing it this way is giving my hands rope burns or I lose my grip wearing the lifting pads. Any suggestions? Hi Shawn! It’s a good item and works well. I just don’t get asked about it much. If you follow the link to the hooks you’ll be on the site that sells the six-pack strap. Ok, just stumbled upon this website while looking for workout clothes and I am very interested in putting it to the test. I have not noticed any women commenting or involved and want to know if this type of workout is suitable for women who are trying to get toned and tight but not big like for a competition. I want a hot bod not a competition bod! No offense to anyone competing, I’m just not looking to put on that kind of muscle. I want to stay feminine but tight. Thanks Greg. I will. I am an actress and model and have had a bad year of health that messed up my metabolism and I feel like it’s a real struggle now to get fit again compared to a year ago. I have really cleaned up my diet including weekday martinis! Hard one to do but I have that goal set! I am not new to the gym but this type of workout is new to me. Although I have always believed in the maximum sprint with maximum effort = fat loss faster. Carla, are you in the LA area? If so, I’d be happy to give you some advice to jump start your workout program. I’m not scared to use weights and I really do believe that they’re a must but this new way of looking at things is a different approach for me and I just wanted to make sure that I stay long and lean. Wish I had the money to get your book ASAP but I’ll have to wait for now…looking forward to reading it. Just starting to get into Static Contraction Training and was wondering what would be a good SCT exercise for the lower back area. When I was working out in a “gym” setting, I was using what I believe is called a “roman chair”. I would lean over the padding on my lower stomach and lift my upper torso so that by body was parallel in regards to the floor. As I progressed, I would hold on to heavier weight plates to increase the resistance. That was quiet a few years ago though. Terry, have you purchased the Static Contraction training book yet? We have a workout in there for the lower back. We use 10 exercises that target the whole body. And the lower back exercise is MUCH better than the roman chair. No problem. We’re here to help. Sometimes its easier to show someone how to do something rather than talk about it. But SCT is pretty easy to do once you read the book so you shouldn’t have an issue with that. Good luck! Are you referring to the “Train Smart” e-book? I do have a copy. I will look in more detail to see if I can find that particular workout. Thank you. Hey Pete and Greg. Love your work fellas!! With the SCT, I find I progress super quick in terms of strength and muscle development. Of course this is a great thing. Not to mention the comments people make about my change in shape and strength. Of course they think that I am joking when I tell them I am in and out of the gym within minutes. haha.. I am however, having a bit of a problem with not being able to add more weight for the shoulder shrug due to high amount of pressure I feel at my wrist and through my spine as my heals drive into the floor. Also, the I find my wrists cant hold up with the heavy weight during lat pulldown. I have used straps for both and this has allowed me to increase my lifting capacity considerably but I have faced the same problem again. I would love to keep growing in strength and size so do you have any other suggestions besides the lifting hooks to overcome this problem? Assuming your technique is solid, my advice would be to leave the weight in the pain-free range and boost your volume a bit. (say, double or triple) and let your tendons, joints and ligaments develop alongside your related muscles. As they thicken and adapt you’ll likely find you can handle more weight pain-free.